No other person at the Algonquin Round Table loomed larger over the group than Robert E. Sherwood. When the group started meeting in June 1919, he was a Harvard graduate and combat veteran of World War I. Sherwood was a writer briefly on Vanity Fair, before moving to the original Life humor magazine. In his late twenties he got serious about writing plays. 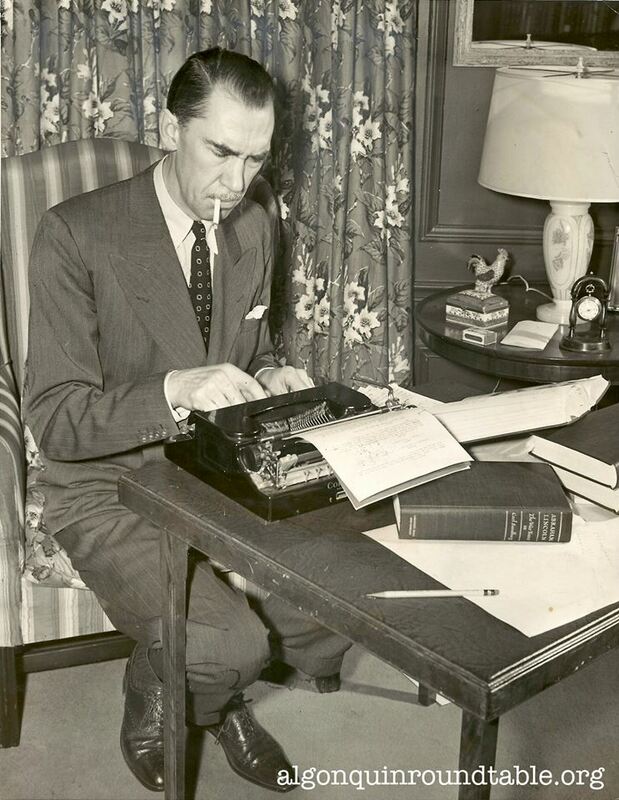 Sherwood went on to win three Pulitzers for dramas and one award for a book about President Franklin D. Roosevelt. Sherwood was a longtime New Yorker who loved the theater and working with actors; but he was very political and that always showed in his work.